Here on The Bryar Patch, I know how important it is for students to understand the abstract concepts in math. 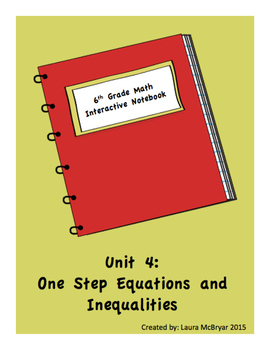 Not only do I find it valuable for students to have a compilation of everything we learn by the end of the year, but I know it's more important for them to have the resources in one place, like in an interactive notebook. 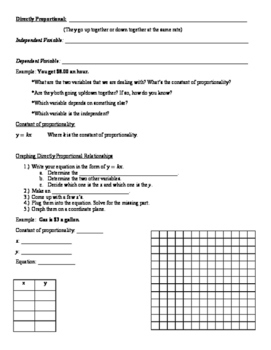 This resource includes guided note pages, mini-assessments, and teacher answer keys for the notes and assessments. 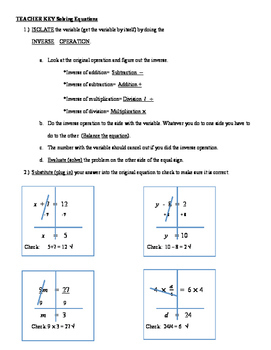 All the notes are common core aligned (specifically to the Georgia Standards of Excellence) and include topics such as evaluating one-step equations, writing equations, writing and graphing direct proportions as well as inequalities. 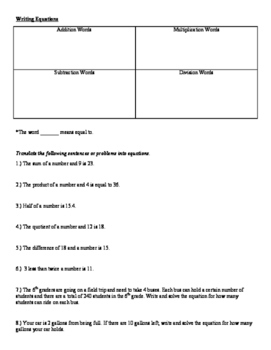 The resource also includes a table of contents and vocabulary page the students can glue into their interactive notebook for this unit.